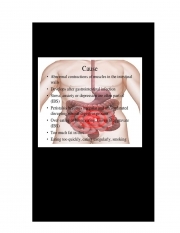 Description of "Dealing with Irritable Bowel Syndrome Naturally (eBook)"
Desmond Gahan, B.A. is a writer, editor and publisher. He is mainly interested in the subjects of medicine, psychology and self-improvement. Desmond is resident in Ireland. Reviews of "Dealing with Irritable Bowel Syndrome Naturally (eBook)"